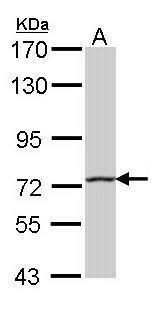 HHIP monoclonal antibody (M01), clone 5D11 Western Blot analysis of HHIP expression in Hela NE ( Cat # L013V3 ). Western Blot analysis of HHIP expression in transfected 293T cell line by HHIP monoclonal antibody (M01), clone 5D11.Lane 1: HHIP transfected lysate(78.9 KDa).Lane 2: Non-transfected lysate. 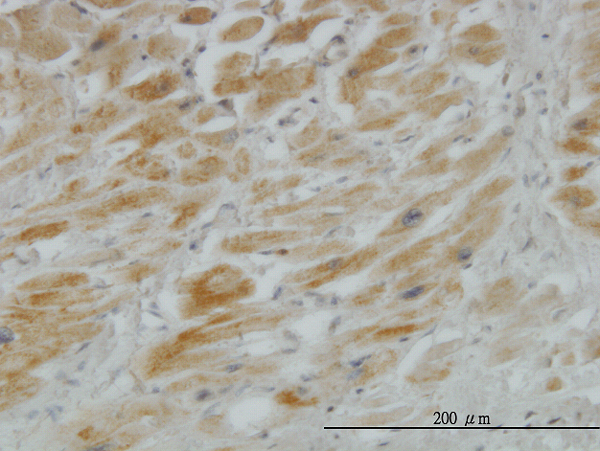 HHIP monoclonal antibody (M01), clone 5D11. Western Blot analysis of HHIP expression in MCF-7 ( Cat # L046V1 ). 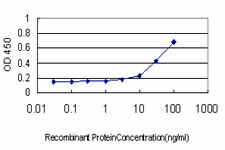 Detection limit for recombinant GST tagged HHIP is approximately 1ng/ml as a capture antibody. Western Blot analysis of HHIP expression in transfected 293T cell line (H00064399-T02) by HHIP MaxPab polyclonal antibody.Lane 1: HHIP transfected lysate(78.90 KDa).Lane 2: Non-transfected lysate. Sample (50 ug of whole cell lysate). A: Mouse brain. 7.5% SDS PAGE. TA308452 diluted at 1:1000. Sample (30 ug of whole cell lysate). A: A431 . 7.5% SDS PAGE. TA308452 diluted at 1:1000. 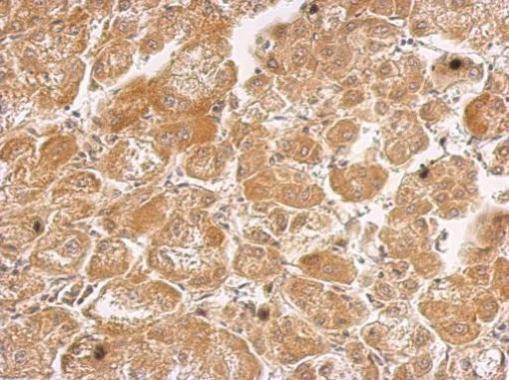 HHIP antibody [N3C2], Internal detects HHIP protein at cytosol on hepatoma by immunohistochemical analysis. Sample: Paraffin-embedded hepatoma. 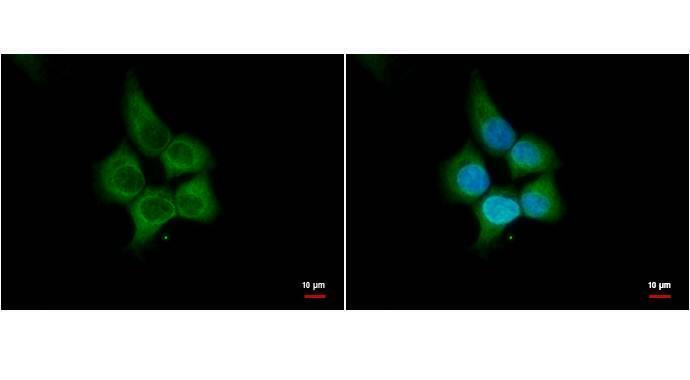 HHIP antibody [N3C2], Internal (TA308452) dilution: 1:500.